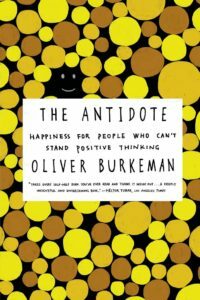 The Antidote, written by British journalist Oliver Burkeman, comes with the tagline “happiness for people who can’t stand positive thinking”. It is a record of the author’s own journey through the negative path to happiness and his criticism for too much focus on positivity and optimism today. Stoicism: He talk about the idea of premeditation of evil. By experiencing the unpleasantness that he’s fearing, he examines how the awfulness compares to his beliefs. An interesting exercise the author tries is to shout names of subway stops at each station, conducting a ritual of deliberate self-humiliation to face his unspoken beliefs about embarrassment, self-consciousness and what other people might think about him. Buddhism: He talks about the idea of “non-attachment” and using meditation as a path to non-attachment. He describes the week long silent meditation retreat he attended and how thoughts and emotions seems like weather: things come and go but the mind is like the sky, and the sky doesn’t cling to specific weather conditions, nor try to get rid of the bad ones. Momento mori: He discusses the idea that there’s something happiness inducing about building in reminders of your mortality in your daily life and describes his experiences during “Day of the dead” celebration in Mexico. The author also critiques goal setting and argues that if you look at routines of successful writers and artists you’ll find that they set process goals instead of outcome goals. i.e: I’m going to write 300 words a day or work 3 hours a day. 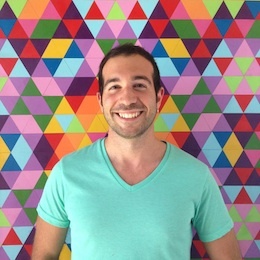 Overall, the book is trying to provide an alternative framework to happiness. I found its philosophical nature intriguing. It’s worth reading if you’re looking to broaden your thinking on happiness or enjoy philosophy as a subject.